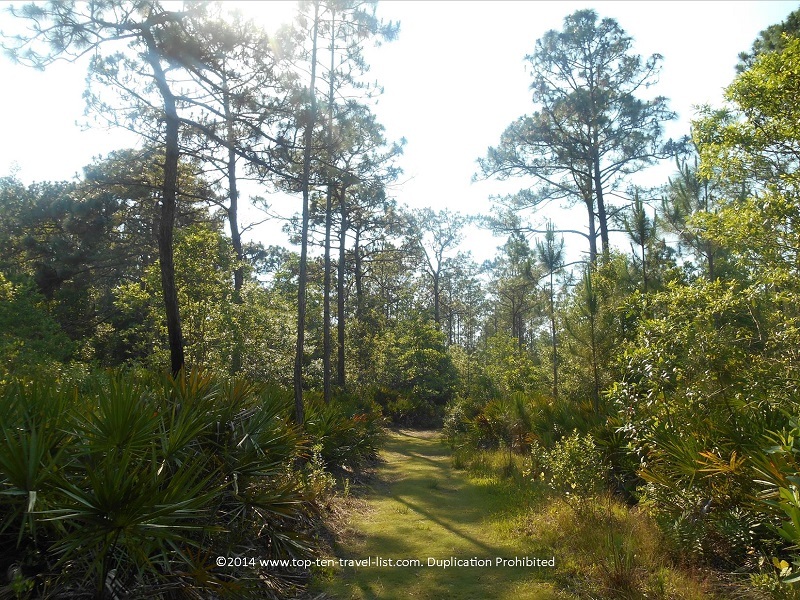 Brooker Creek Preserve: A Quiet, Natural Oasis in Tarpon Springs, Florida - Top Ten Travel Blog | Our experiences traveling throughout the US. 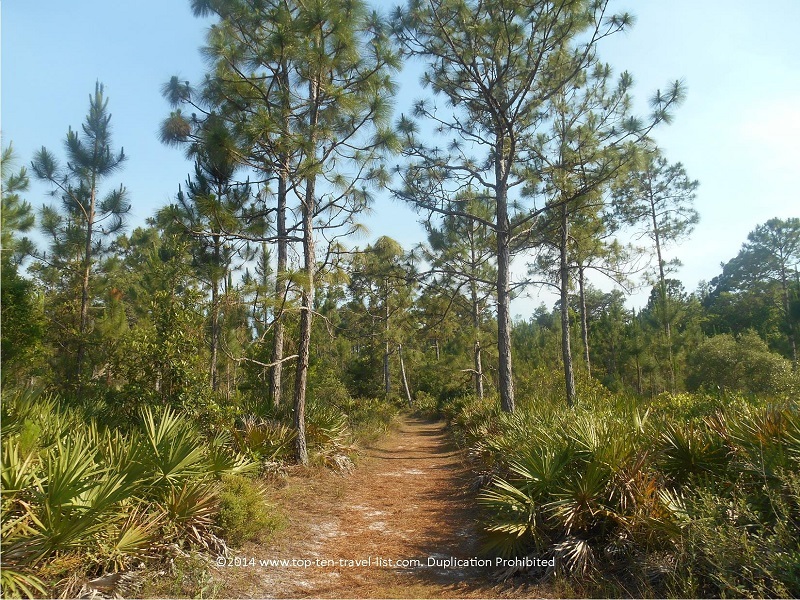 This week, Mike and I decided to check out beautiful Brooker Creek Preserve in Tarpon Springs, Florida. We saw the sign while driving (on several occasions) and finally decided to take a detour for a relaxing nature walk. 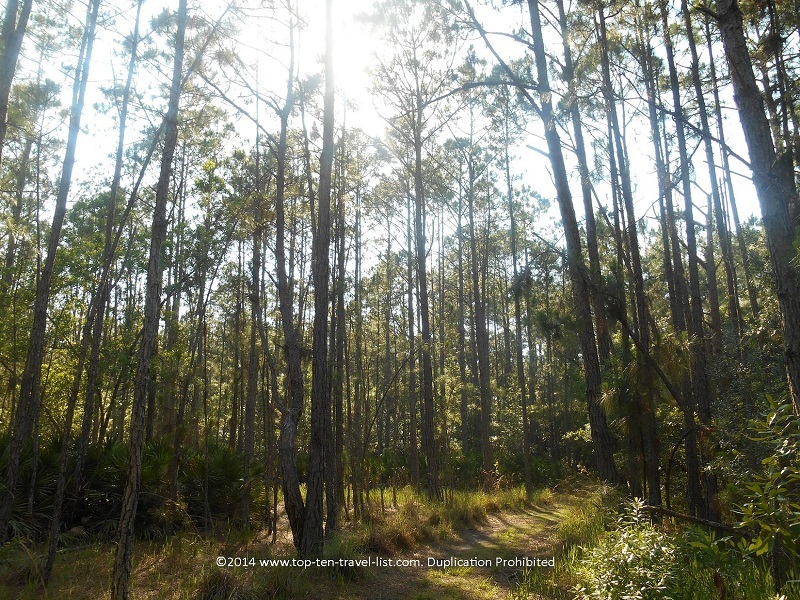 After visiting several other beautiful natural parks in Pinellas County (such as John Chestnut), we decided that it wouldn’t be a bad idea to check out another major park in the area. We were pleasantly surprised with the beautifully maintained hiking trails at Brooker Creek. With 8700 acres of forested land, Brooker Creek claims the title of largest area for natural recreation in the county. This beautiful oasis, amidst the ever growing urban/suburban cities in Pinellas County, is the perfect place to escape for a day of peaceful recreation and reflection. 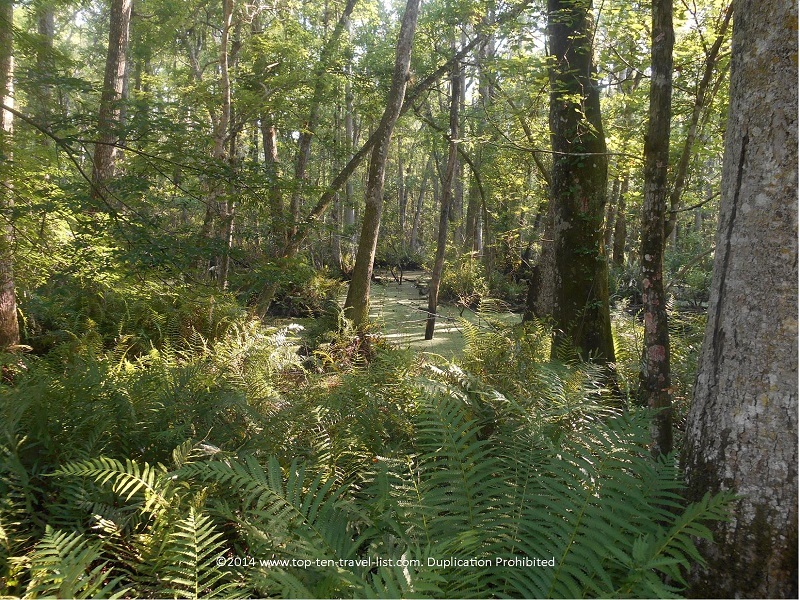 At Broker Creek, you will be surrounded by natural pine forests, marshes, and swamps. Wildlife viewing opportunities are ample. We saw both turtles and Armadillos. 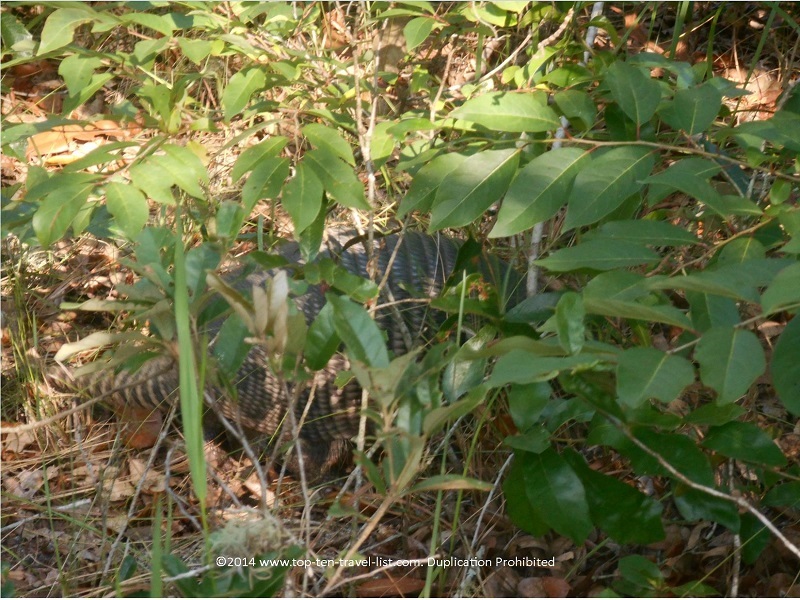 I tried to capture a pictures of an armadillo on the trail, however, it was a bit too fast for my camera! You can see it hiding behind the trees in the photo below. The 0.7 mile long Ed Center Trail Loop is a great option for those limited on time (it will only take a half hour at most to complete). On this short, yet scenic trail, you will pass scenic bottomland swamps. Bird watching is another popular activity within the preserve, as Brooker Creek is part of the Great Florida Birding Trail, a collection of more than 500 Florida locations where birds are protected in their natural habitat. Both hiking and equestrian trails are available. In addition to the Ed Center Loop, we completed a moderate 1.5 mile loop trail. There are about 5 miles total, ranging from easy to difficult. Although extremely hot and humid, the shaded trails made the hike through the heat a bit more tolerable. I recommend heading out in the morning or late evening when temperatures are a bit milder. Check out a few photos below of the trail. The Environmental Education Center provides indoor exhibits to learn more about the preserve’s plant and animal life. 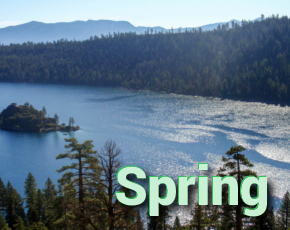 Guided hikes are offered on Saturday mornings. 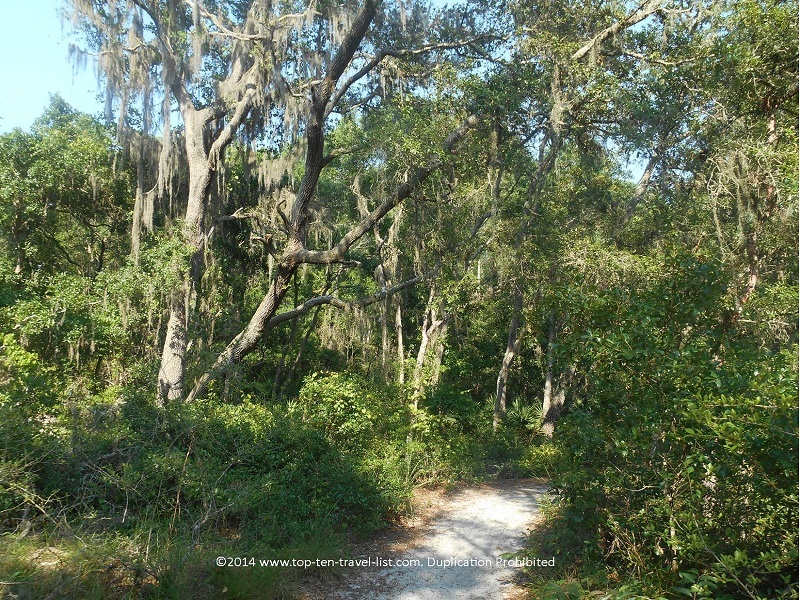 To view a listing of the various hikes available, visit the Brooker Creek Preserve website. 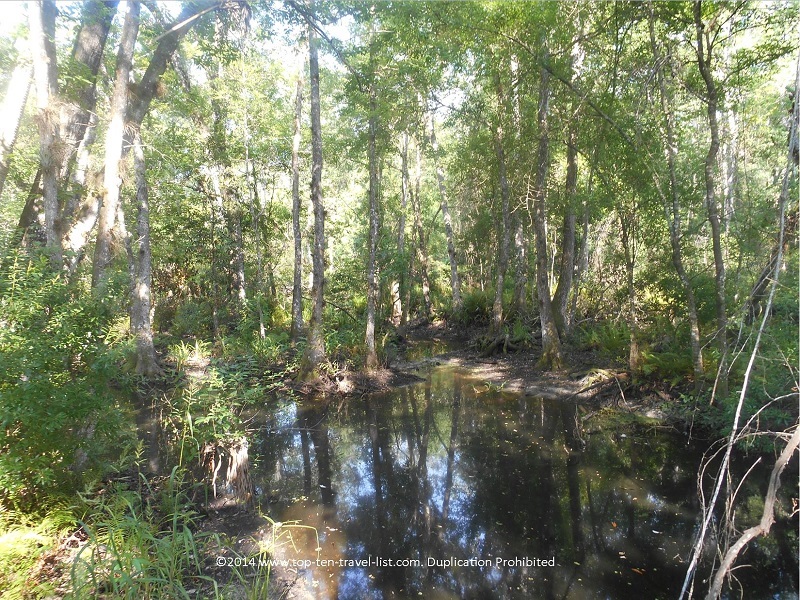 Brooker Creek is located at 3940 Keystone Road in Tarpon Springs, Florida. Trails are open from 7:00am until an hour before sunset (unless otherwise noted). The Education center is open from 9:00am-4:00pm (Thursday-Saturday). 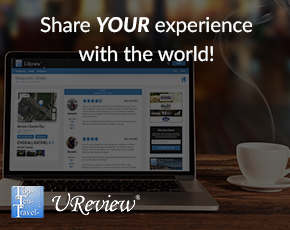 There are no entrance or parking fees. 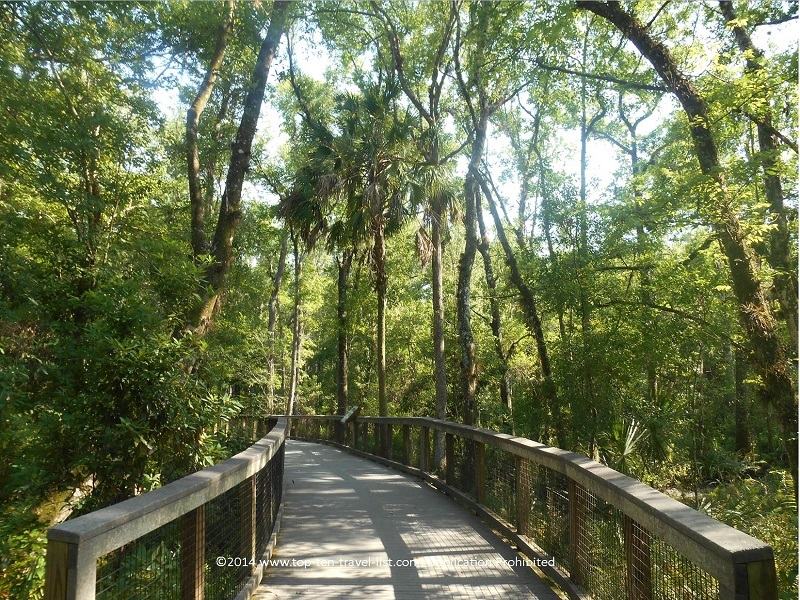 Have you ever visited the Brooker Creek Preserve? Did you spot any wildlife on the trails? List some of your other favorite hikes in the area!